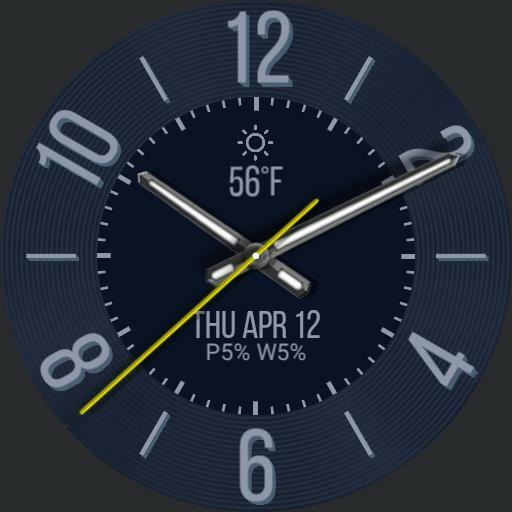 Deep blue watch face with texture, lighter blue markers and a boldly colored second hand. Includes low-power dim mode, phone/watch battery levels, weather and tap actions. - Tap center to park hands at 9 and 3 so you can see the weather and battery info. Tap again to restore the correct time. - Tap 12 to update the weather. - Tap weather info to launch stock weather app. - Tap date to launch stock calendar agenda app.